I love this issue. When it arrives in my mailbox I get that, ok, it's really time to decide on a Christmas card design before Thanksgiving weekend comes and I end up making all 140 cards in the space of 7 days. Yeah... every year, I swear. Except last year. I started even later that that. Yeah... brilliant, I know. Anyhow, so yes, I've already started searching out holiday stamp options. I'd really like to use a "noel" stamp on the Christmas card to go with the "Noelle" announcement (again... don't judge me... cheesy, yes, but I like it and I've had this evil genius plan of doing a double Noel/Noelle Christmas card/birth announcement for years on the off chance that this whole baby girl issue came up). I'm pinning all my hopes and dreams on Papertrey coming out with their holiday sets next month (I have no idea when they release Christmas stamps... is it September or October?) and one of them having some giant "Noel" stamp in some beautiful swirly font. Hoping, hoping, hoping. But just in case, maybe y'all could let me know if you know of some beautiful "Noel" stamp or set? I know I could use PTI's Merry & Bright, I'm just not sure if the font is quite big enough. I think I can really only hold out for one more PTI release before I need to make a decision. I struggled with which project to share with you from the mag... I was really into the holiday projects this time. My husband and little Zeke also make an appearance in this issue and I wanted to show you their cute faces in that project, too, but I decided that would just be out and out bragging. (So I'll just brag in small print... love that pic of them because it really shows how blue blue blue Zeke's eyes are!) 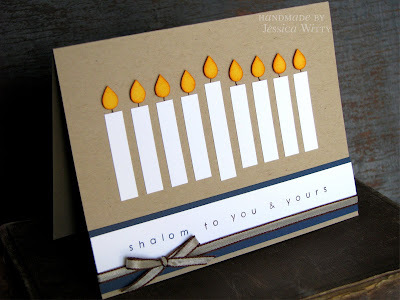 I picked the card above because I love how the little candle flames turned out! I'm not Jewish, but I saw this super simple white menorah in a catalog (Crate & Barrel? Pottery Barn? Can't remember.) and it totally inspired me. I made the little flames by punching yellow circles out of cardstock and trimming the sides and top. And since we're in holiday mode, here's another little holiday card. This one came out in Stamp It! I thought the little birdie feathers looked like scarves and that inspired the holiday theme. Since the stamp was a bit of an non-traditional holiday choice, I went with non-traditional Christmas colors as well. 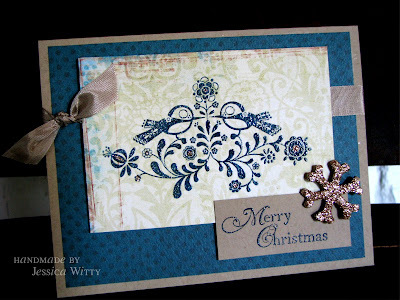 To do the embossing, I inked up with both Versamark and navy ink and stamped, then used clear embossing powder over that. 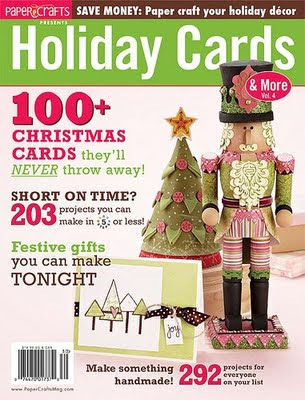 If you'd like to get into the holiday spirit, you might try visiting Paper Crafts Connection and Moxie Fab World. We're all celebrating the release and a little birdie told me that there might be giveaways involved. 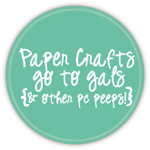 And someone I know just recently won something from the Paper Crafts Connection blog (Hi, Karisa!) so next time it might as well be you, right? It never fails. I always come here thinking, "All righty. 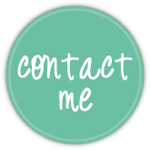 Today's the day that I'm just going to do a quick, non-verbally overloaded post." And again, today was not that day, was it? Maybe next time! Both are beautiful cards, Jess! I really love the non-traditional blue and kraft one! I also saw the vintagy (is that a word?) one on the Moxie Fab World blog. It's beautiful too!! I love your posts- I'm sure I will be a little sad if you really do a short one- the little font details crack me up! Love the cards in the new issue! Can't wait to see more! 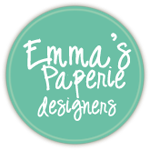 Just because you're such a 'kreative' stamper/blogger, you'll find a cool Kreative Blogger's Award for you over at my blog! Why? 'Cuz you deserve it! 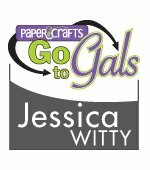 Love the cards, Jessica - can't wait to see that issue. I didn't know you had a blog!! LOVE that second card - just gorgeous!